Product prices and availability are accurate as of 2019-04-07 19:49:43 EDT and are subject to change. Any price and availability information displayed on http://www.amazon.com/ at the time of purchase will apply to the purchase of this product. 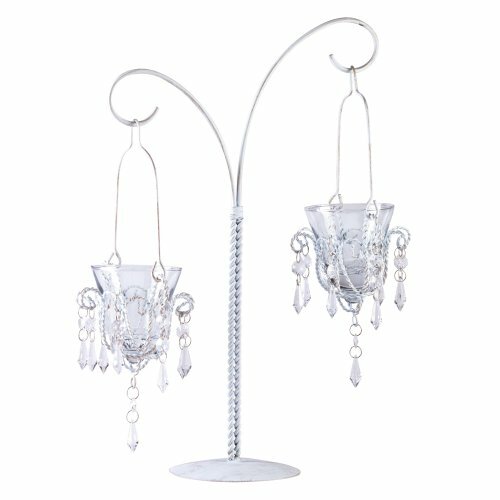 Wholesale Lot of 12	Uniquely beautiful tabletop stand boasts two hanging votive "chandeliers". 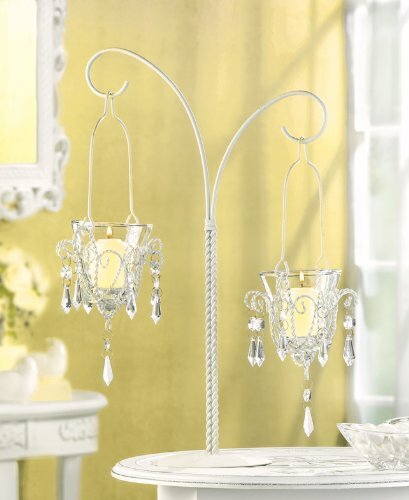 Glittering crystals and curving lines delight the eye! 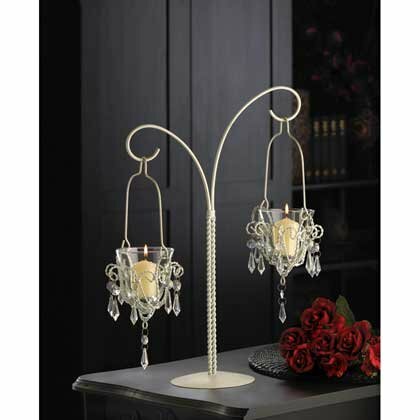 Uses votive candles (not included) Metal and glass with acrylic drops. 13" x 6 1/4" x 17" high.